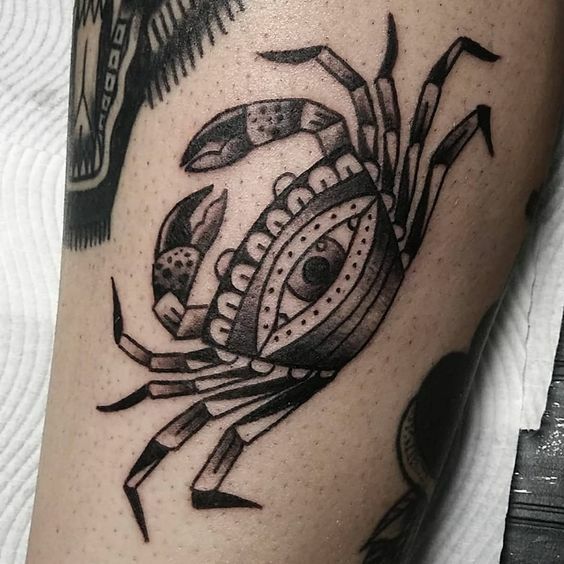 Just like its water sign peers Scorpio and Pisces, Cancer is very good at picking up details. 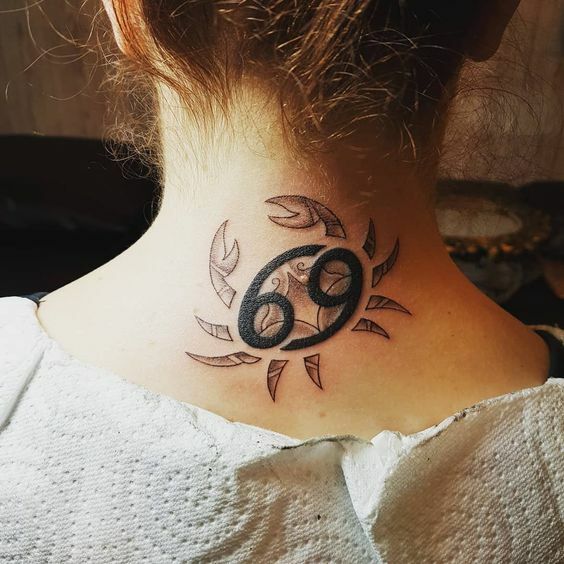 Those who were born under the sign of Cancer are usually great observers and know exactly what’s going on under the table. 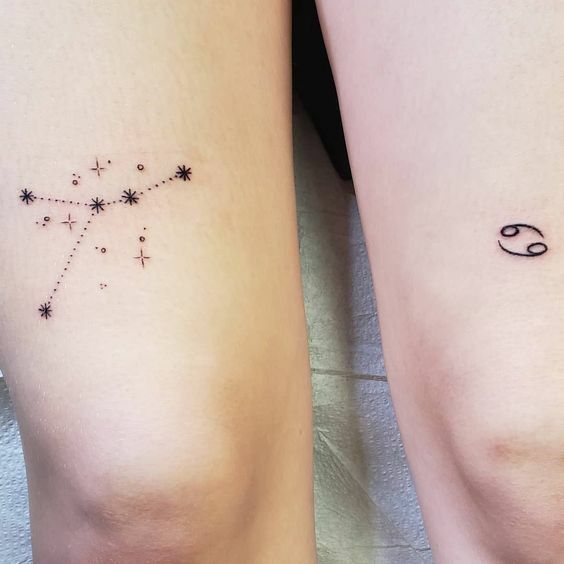 They might look all chill and calm. 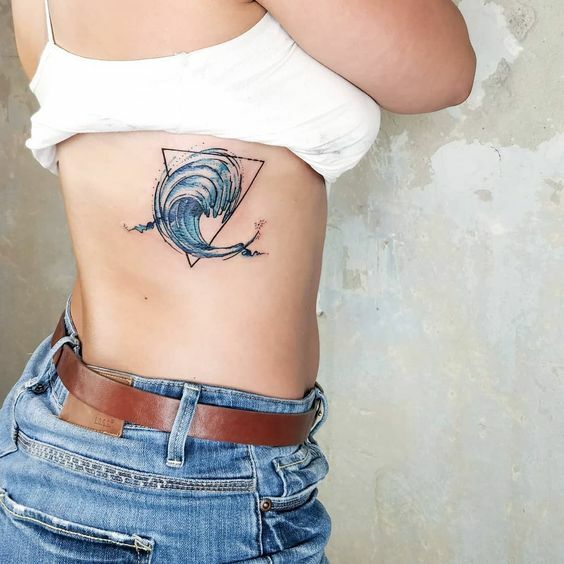 But for a lot of them, there’s a waving sea of emotions in their mind. 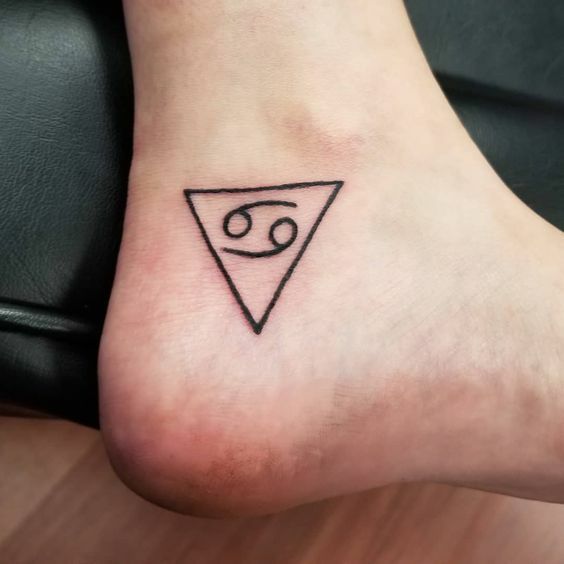 They are extremely sensitive, caring and loyal to their friends. 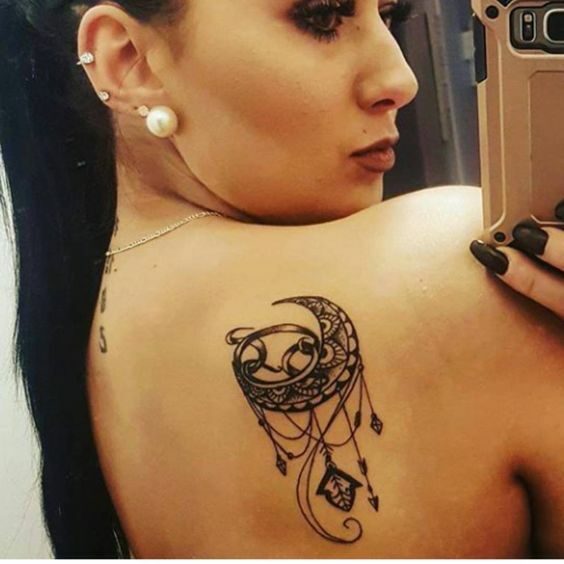 Sometimes they care others too much that it put them on an emotional swing. 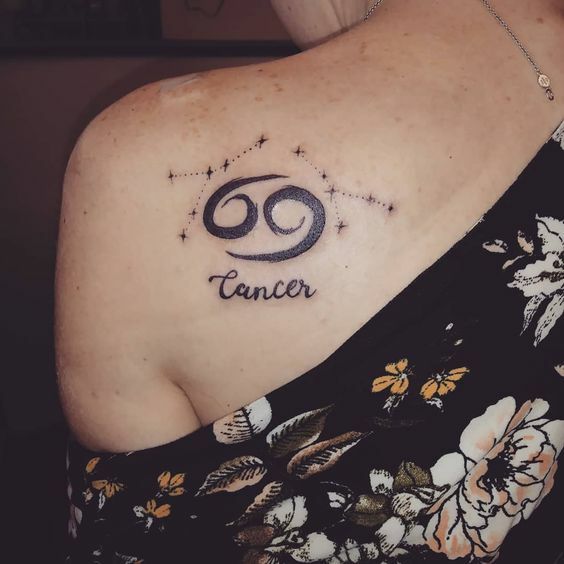 So if you are a dearly Cancer, always remember to put yourself first. 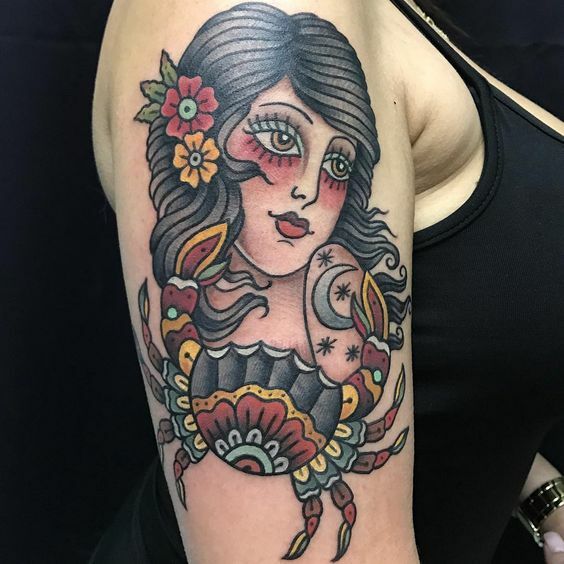 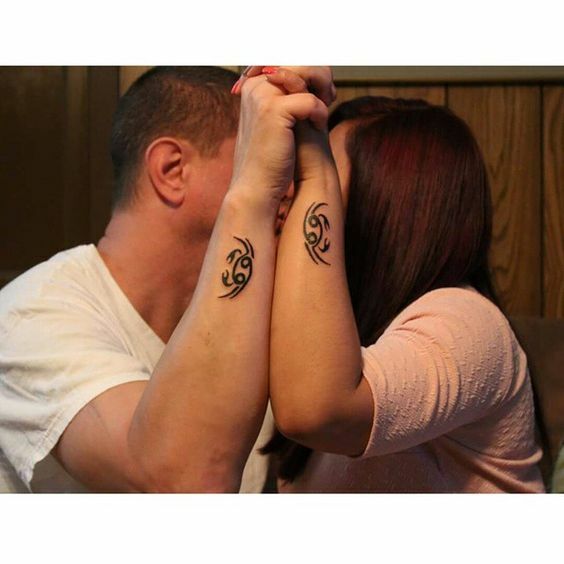 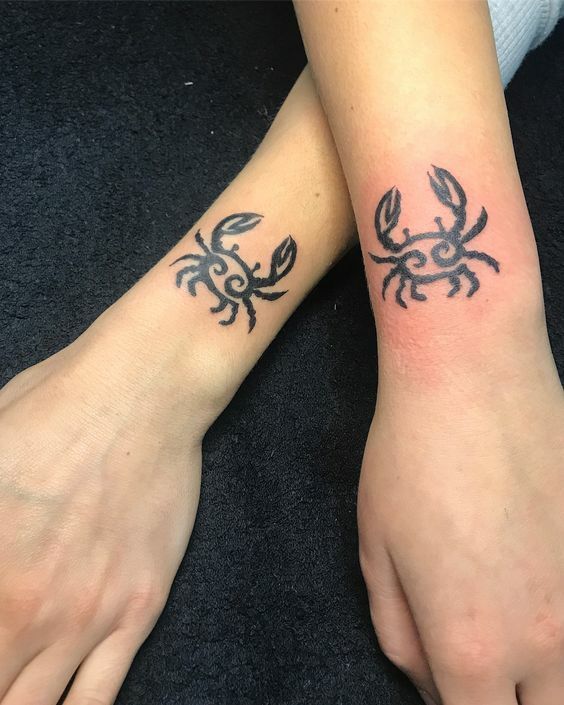 When it comes to getting a zodiac-related tattoo, the first thing that jumps to mind may be crabs – the symbol of the Cancer sign. 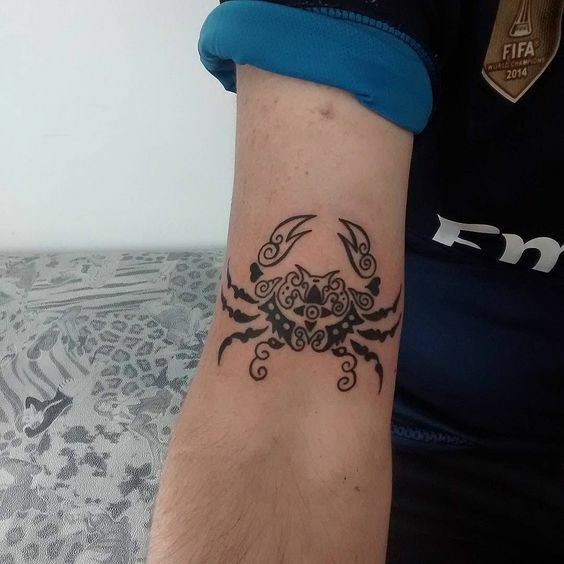 But Cancer is so much more than that. 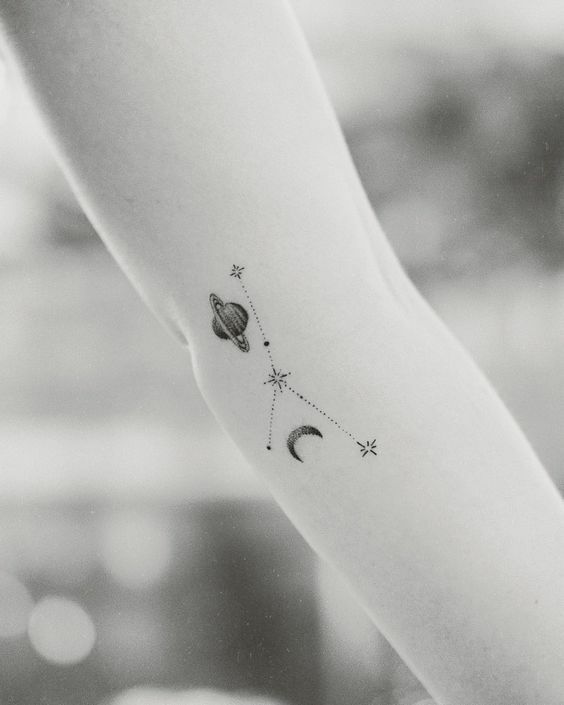 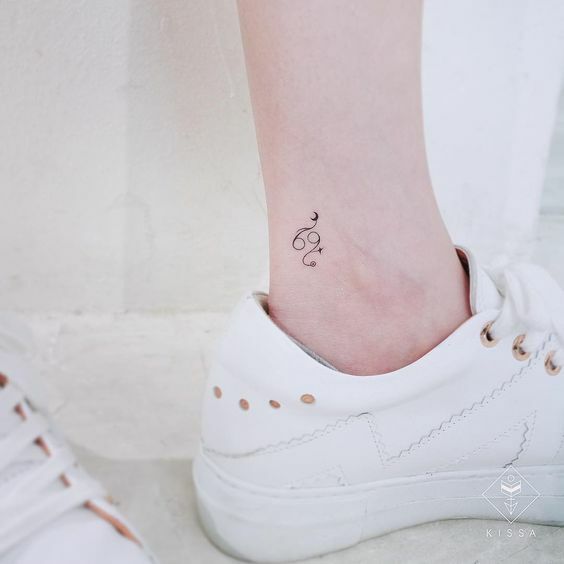 That’s why we’ve put together 34 amazing astrology tattoo ideas for this moody sign. 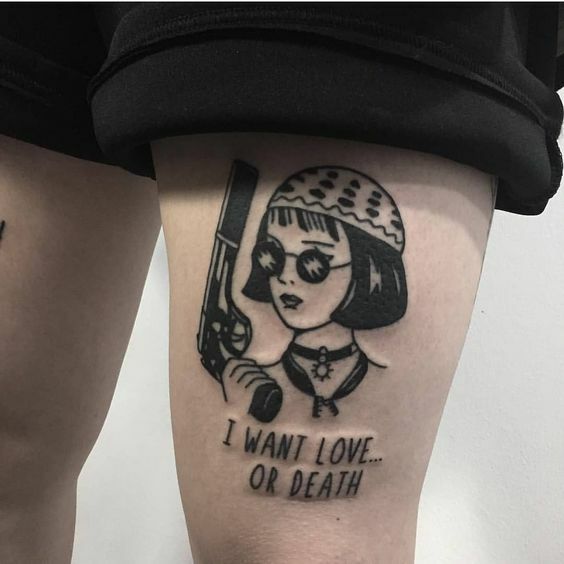 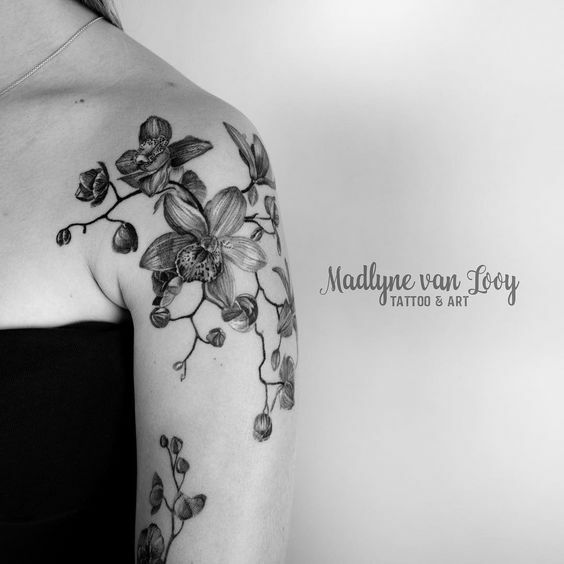 If you are searching for your next ink, hope these ideas will inspire you. 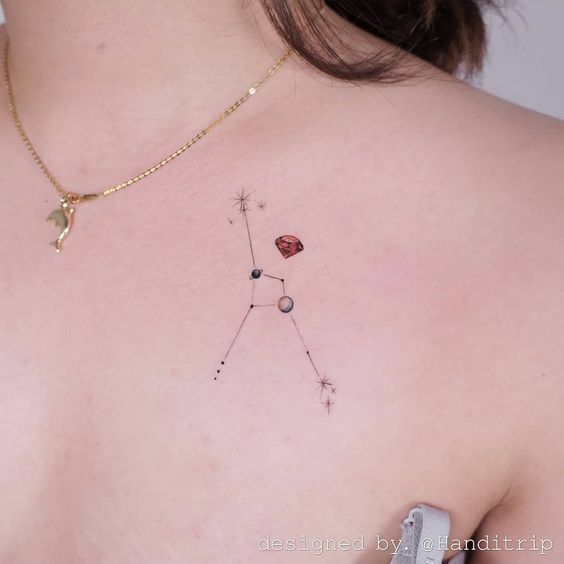 Ruby is considered as the birthstone for Cancers. 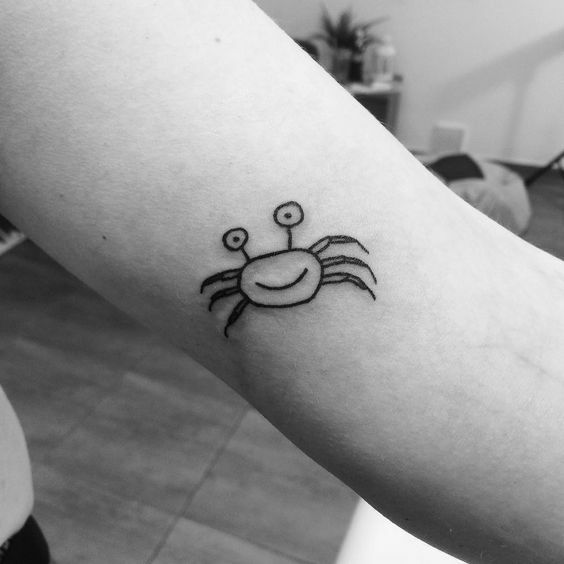 For girls that opt for a “crab-free” Cancer tattoo, getting a ruby ink is a creative and unique approach. 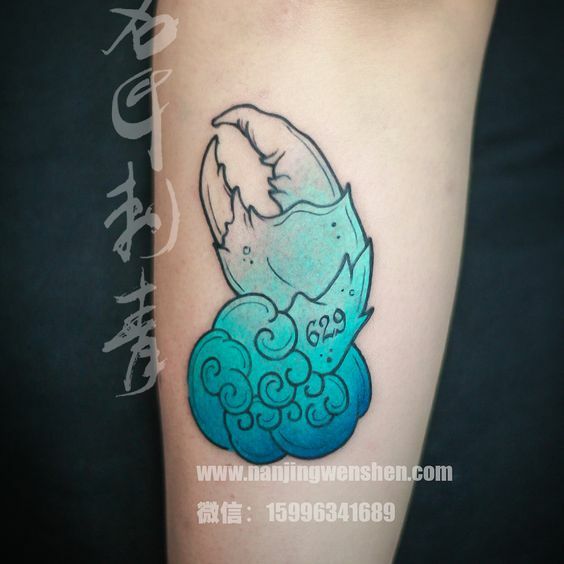 Cancer sign is ruled by the moon. 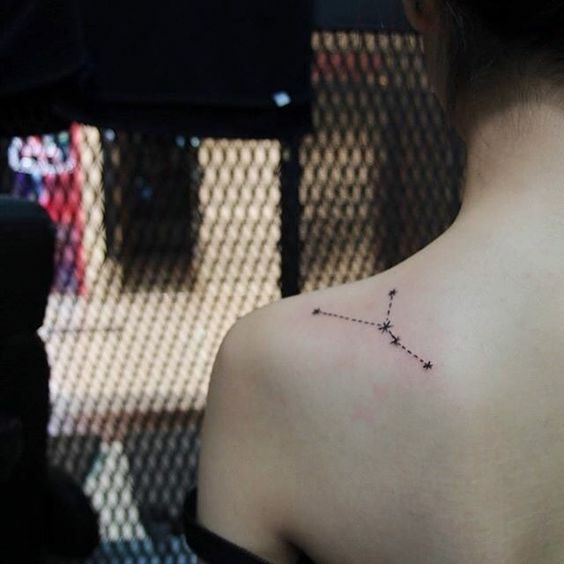 And as a water sign, Cancers are born aspiring for freedom. 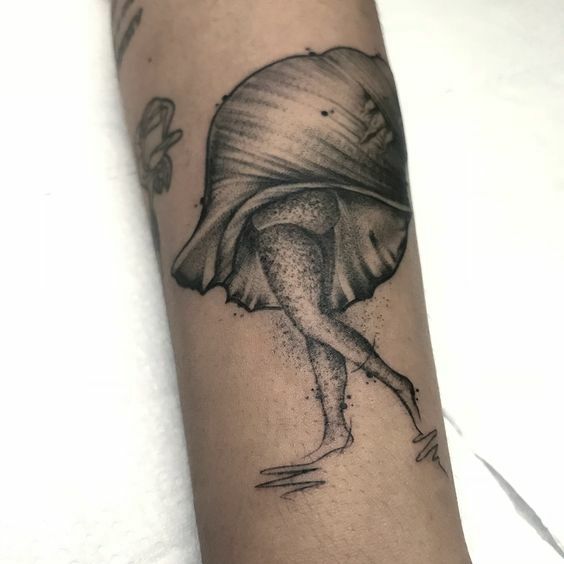 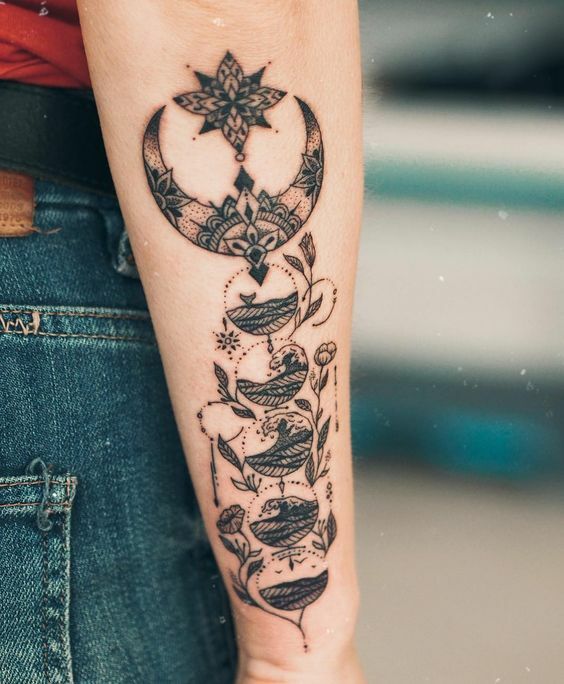 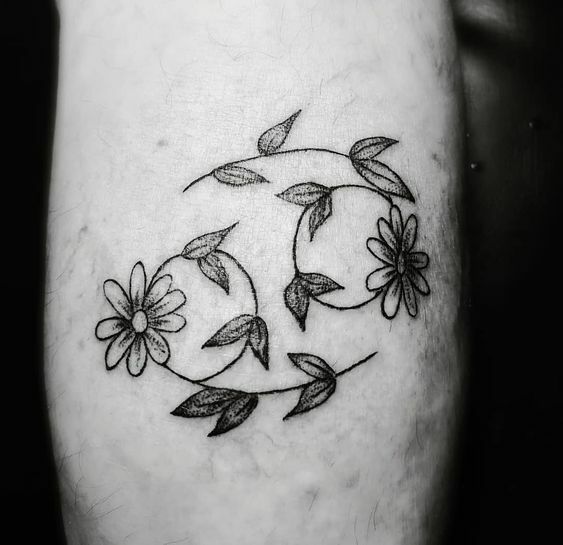 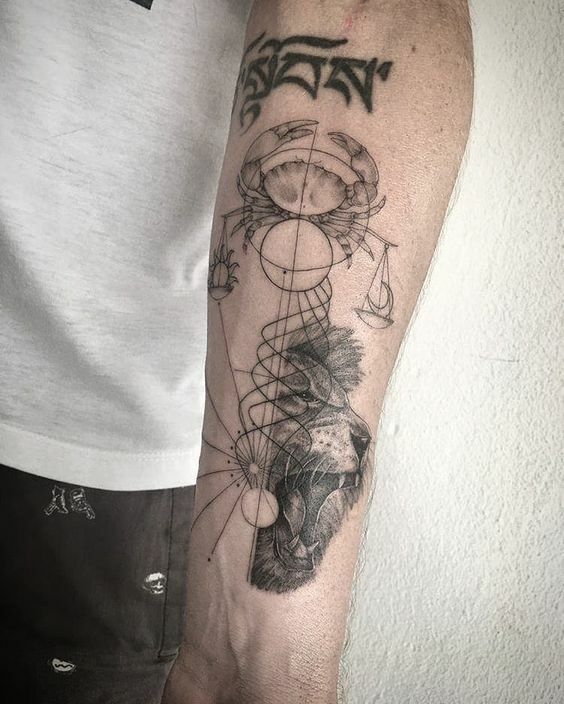 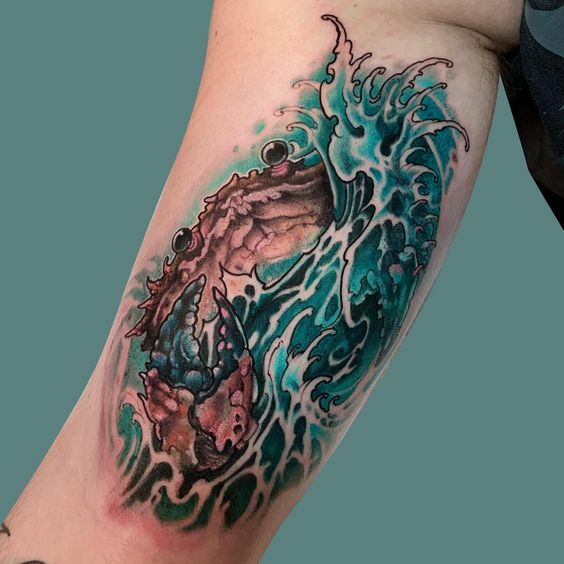 This unique arm tattoo brings the moon and the waving sea together, perfectly demonstrate the wild side of Cancer. 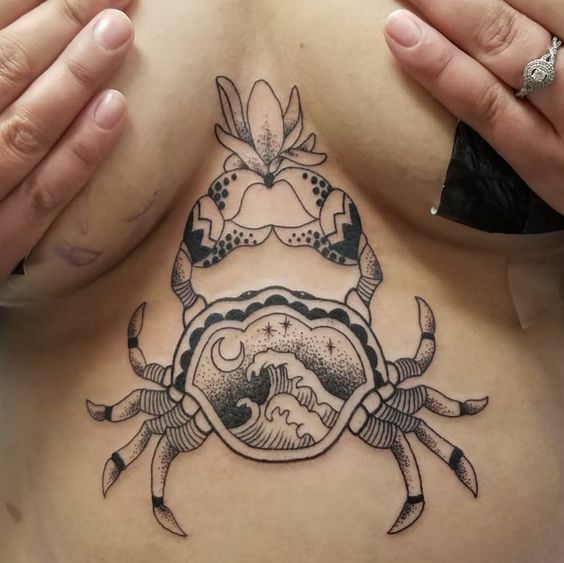 Sometimes it’s hard to find a perfect Cancer tattoo for girls because crabs are not the most beautiful thing to be inked. 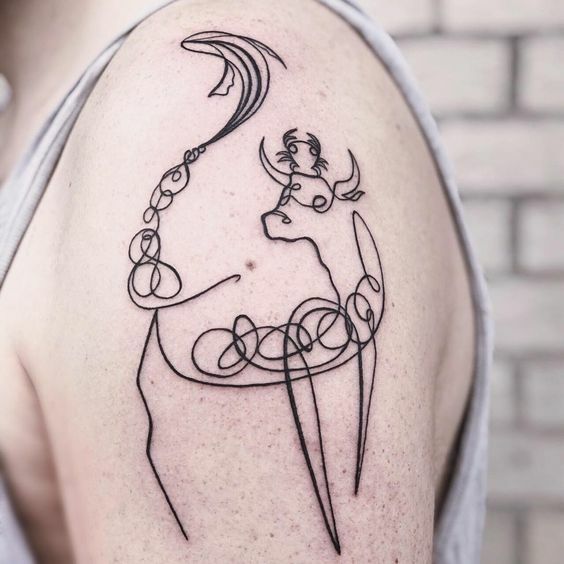 If you are looking for a more delicate and feminine way to show your Cancer pride, think about the Goddess of the sign – Artemis. 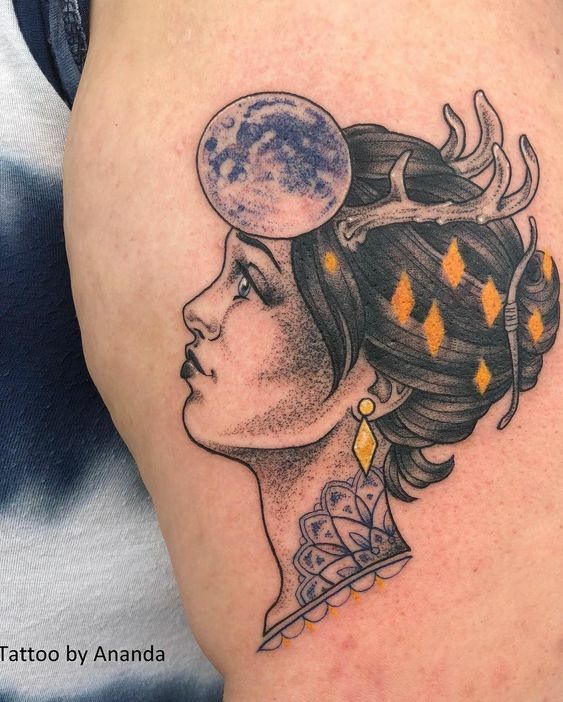 In Greek mythology, Artemis is in charge of the Moon, which is also the ruling planet of the Cancer sign. 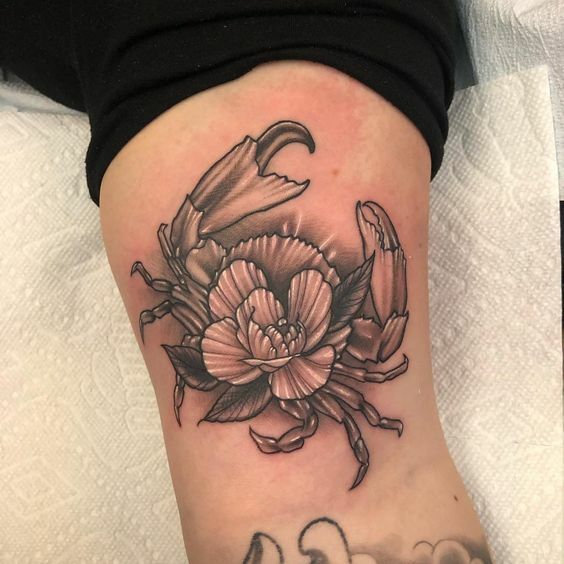 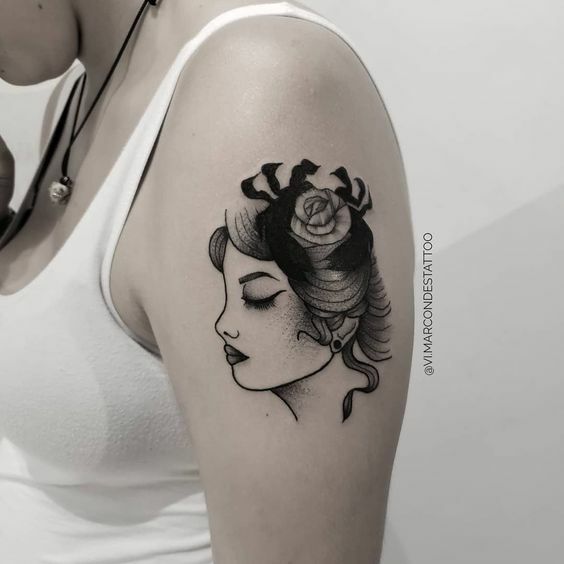 Find a promising tattoo design that combines these two elements and voilà, you’ll have a Cancer tattoo that is absolutely one-of-a-kind. 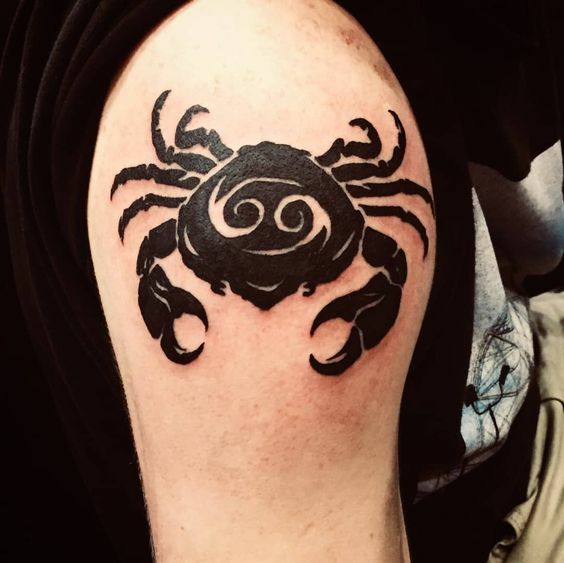 Cancer is one of (if not) the most emotional signs out of the 12 zodiacs. 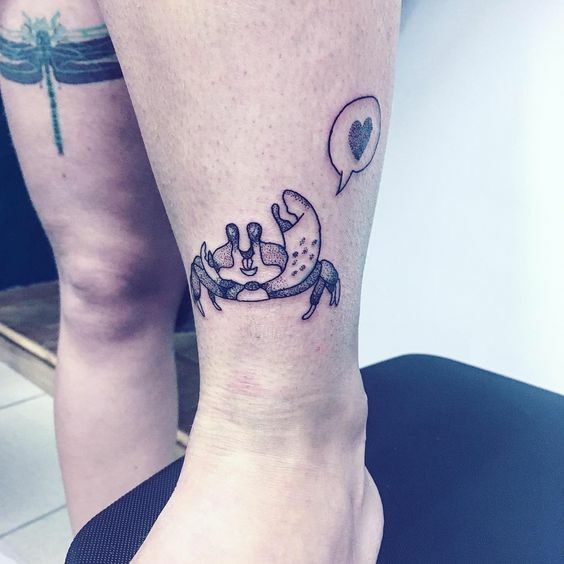 As ruled by the moon, the change of the planet itself may highly affect the crabbies’ mood. 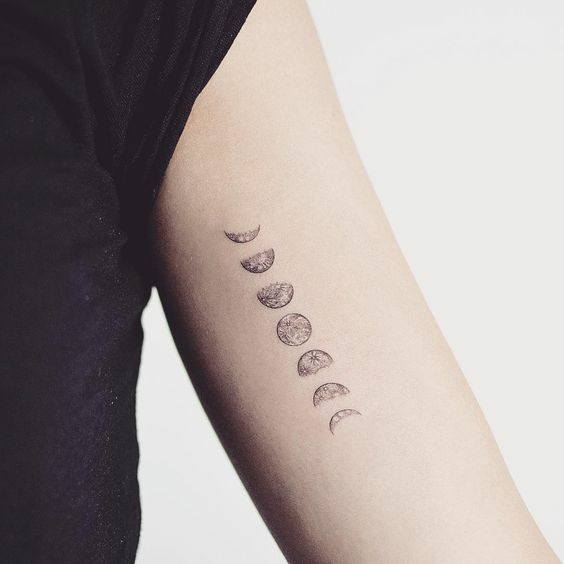 This moon phase tattoo may be a calming reminder when you are hit by an emotional roller-coaster. 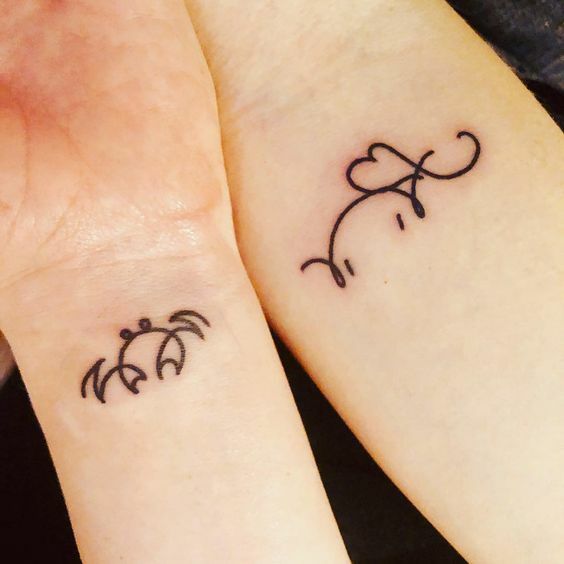 Want to know more about Cancer’s personality traits? 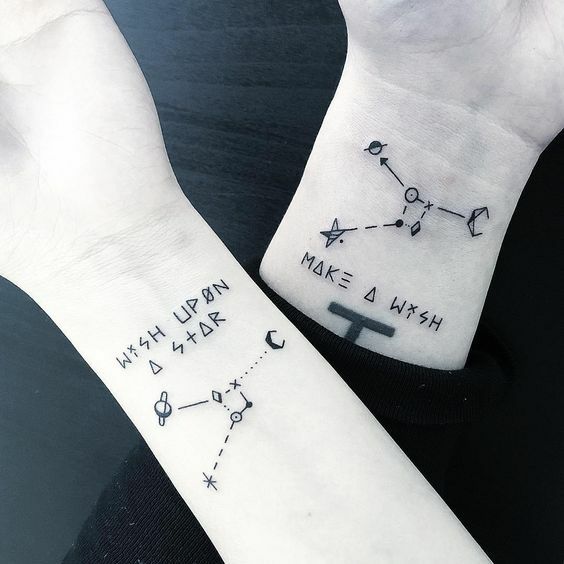 Check out this informative video down below!